Online reservations are closed. Please call our concierge at 800-267-6793 for ticket availability. Join us as we take a journey exploring everything you ever wanted to know about cheese. From how it’s made and the many different varieties to the magic that happens when paired with the right wine. 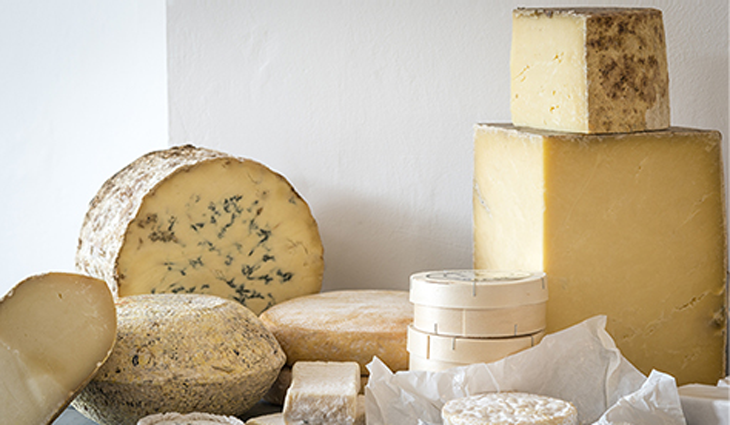 Have you ever wondered which cheese can stay out of refrigeration, or what ‘aged’ really means? Each course, you’ll enjoy 5 cheeses and pair them with 4 wines. Session 5: Harvest Time for Wines & Cheeses covers new releases of wines and cheeses. You’ll learn about harvesting the flavors of summer and preserving them for the long winter ahead. We will look at why fall cheeses are unique, and what happens when wine ages. Finally we will explore cheese milk’s leap towards immortality. Chateau Ste. Michelle is proud to partner with Alison Leber, a Certified Cheese Professional with the American Cheese Society. She is both a cheese monger and an educator and has over 30 years’ experience in the food and wine industry. Alison has dedicated herself to promoting high quality and sustainably sourced products. Alison was the primary consultant in the design and launch of the original Beechers’s Handmade Cheese retail store in the Pike Place Market. Today she trains chefs and restaurant staff in cheese presentation, application & affinage (aging) as well as teaching. Tickets are non-refundable. Ages 21 & over only, please.